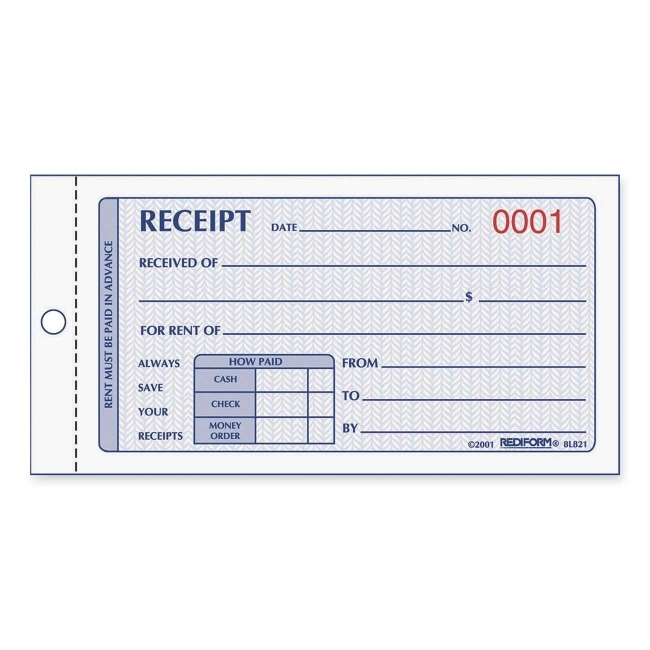 Rent Receipt Book offers 50 numbered in red carbonless two-part sets of receipts. 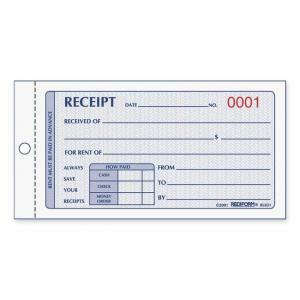 Receipts include space for name and address of person paying the rent and place to check off whether the money is paid in cash, by check or by money order. Safety tint on original rubs off if erased.